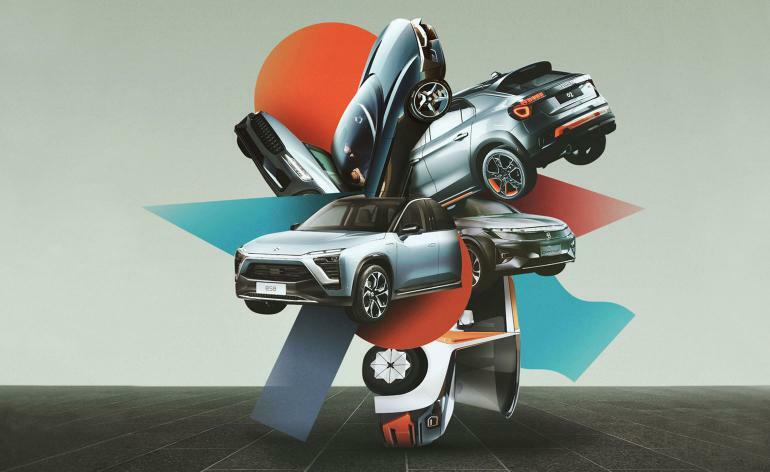 There is a noticeable paradigm shift in the automotive world towards the car as consumer technology, with the bright halls of the 2019 Geneva Motor Show painting a colourful picture of what will drive our near future. The narrative arc is approaching sustainability through clean drivetrains, inventive design and use of ecological material. It is also about utilising autonomous technology to assist the driver and help make the car a safer product. This, the industry hopes, will rekindle our romance with the automobile, and encourage the desire for ownership – private or shared. The Polestar 2 perhaps epitomises the sentiment best. Everything from Volvo’s new electric car company is considered – from the sustainable production methods, to the electric drivetrain, clear functional design, vegan interior, affordable price and shared ownership schemes. Even the white-cube minimalism of the exhibition pavilion at Geneva tells a bold story of the car as consumer technology. The Battista, on the other hand, highlights an alternative dialogue of modern motoring – design for desire. The work of another newly-formed brand, Automobili Pininfarina’s premier product is an ode to the splendour of the motor car with an eye on the future. Underneath the surface brilliant of its meticulous sculpted car, and beyond the lush interior of quilted leather and crafted aluminium, is a highly advanced, pure electric drivertrain promising clean power and speed, although in the case of the Battista, only for a select few. With all these theatricals, it is easy to assume innovation is solely in the hands of the start-ups. The truth is that much of the real advancement is happening quietly behind R&D departments at some of the main traditional makers with a raft of products present and in the pipeline that will populate our roads. BMW has proved its electric credentials with the radical i sub-brand, so it is refreshing to see Audi present a second car, the Q4, in the e-tron family. No motor show though is quite complete without the sort of extreme motor cars that are so very wrong in today’s world but nevertheless fuel the imagination. The McLaren 720S Spider takes the roof off this carbon-bodied sports car coupé, Ferrari’s F8 Tributo honours Maranello’s epic turbo V8, and Lamborghini’s Aventador SVJ Roadster is an unapologetic, loud open-air racer. All these pale in comparison to the Bugatti La Voiture Noir though – the most ostentatious car by the world’s most exclusive marque and, at some £12 million, possibly the most expensive new car ever built. It is pure motor car grandeur though, translating the timeless elegance of the 1936 Type 57 Atlantic. The imagination can bloom in times of uncertainty, with some of the most radical creative movements born in volatile times. And it was promising to see that against the cloud of political chaos, economic fragility and pressing climate concerns, this year’s Geneva highlighted the (sometimes overlooked) progressive side of motoring – a sentiment that chimes with the early days of the motor car, when it was a spirited industry rooted in innovation. Here are our top picks of production and near ready cars. The Polestar 2 is a premium compact urban electric car by Polestar, announced in 2017 as an independent electric car arm to sit alongside Geely Auto and Volvo Car Group. Whereas the inaugural Polestar 1 is to be an exclusive powerful car, the product displayed at Geneva is a much more egalitarian affair. The clear visual expression speaks of its Scandinavian heritage, and the interior is all vegan. Polesar’s lead designer Maximilian Missoni says he worked with ‘progressive textiles to appeal to a forward-thinking audience’. The car has an expansive panoramic glass roof, delicate frameless side mirrors, Pixel LED lights as well as proximity lighting for a ‘unique welcome sequence’, and an illuminated Polestar logo. The Battista is an all-electric gran turismo by Automobili Pininfarina. Named after the carrozzeria founder, this is the pinnacle and first product by the legendary Italian studio’s new automotive arm with ambitions to create pure-electric performance cars. The hypercar’s carbon fibre monocoque chassis and carbon body support acceleration to 62 mph in less than two seconds, top speeds of above 250 mph and with power and torque at 1,900 horsepower and 2,300 Nm. The Battista also promises an impressive zero emissions range of up to 300 miles. For the design, the creative director Luca Borgogno looked at the studio’s impressive design history, naming the 1947 Cisitalia 202, 512S Modulo of 1970 and the 2008 hydrogen fuel-cell Sintesi as inspiration. The Battista’s carbon body is full of movement with sweeping glass elements, a single dynamic strip of light cascading from the front of the car in place of traditional headlights. The cabin is a curious mix of extreme technology and traditional luxury materials – a feast of soft quilted leather on the seats and inside the doors, and crafted metal elements. Borgogno notes that the fabrics are ethically sourced, the woods natural and paints non-chemical. The interface sees two screens on either side of a motorsport-inspired steering wheel angled towards the driver, whilst a third in direct view replaces conventional dials. The Q4 e-tron is the second electric concept by Audi. The marque has been teasing with the promise of an all-electric family for a decade, with some of the earlier concepts truly avant-garde. These premier e-trons were radical product designs showcasing what was then generally considered to be the electric vehicle vernacular – heavily aerodynamic in shape with a great deal of visual clues, especially with the grille and wheels, as to the sustainable drivetrain. This Q4 crossover coupé offers a more cautious approach to electrification. It follows a similar design theme to the e-tron SUV we sampled in July for a more traditional car vernacular than the futurism we had hoped to see with Audi’s electric cars. It has an assertive face with slim headlights and a special electric grille with its automatically swivelling vents – a feature that will differentiate the e-trons from the marque’s regular cars. It is inside the clean, digital cabin where there is a noticeable departure with a new steering wheel design flanked by some brilliantly bold vents. It ride on a Volkswagen Group shared flexible electric vehicle platform. The mechanics on the Q4 mean the two electric motors, one at each axle, provide approximately 301 horsepower, zero to 62 miles can be achieved in 6.3 seconds, and the 82-kWh battery can last for up to 280 miles. The Tonale is the second sports utility vehicle proposition from Alfa Romeo. It follows on from the more robust and larger Stelvio and previews a compact car as well as the marque’s first petrol-electric hybrid crossover. The name alludes to the Tonale Pass – the mountainous route through the Italian Alps. The design is a more refined, quiet affair than the bold Stelvio. The slim ‘tre più tre’ headlights at the front frame the distinctive V-shaped ‘scudetto’ Alfa radiator grille, as a subtle nod to the SZ sports car and Type 939 models. The rear lights are equally refined.